Customer Relationship Management & Consulting | Vincent Associates Inc. Custom CRM applications for any business, any sector… retail, financial, pharma, travel and leisure, government, not-for-profit and more. At Vincent Associates we specialize in customer relationship applications. Satisfied clients in businesses and organizations of all sizes, in all sectors – retail, financial, pharma, travel and leisure, government and not-for-profit – have trusted Vincent Associates, since 1995, to design and build custom CRM solutions. We’ll show you how to use customer data to build and retain customer loyalty, create effective marketing strategies, enhance your brand and support your organization’s objectives. Our customized CRM applications help you better manage your interactions with customers, clients and sales prospects. We use the most current technologies to develop cost-effective applications that organize, automate and synchronize your processes, allowing you to better shape and execute your business and marketing strategies. 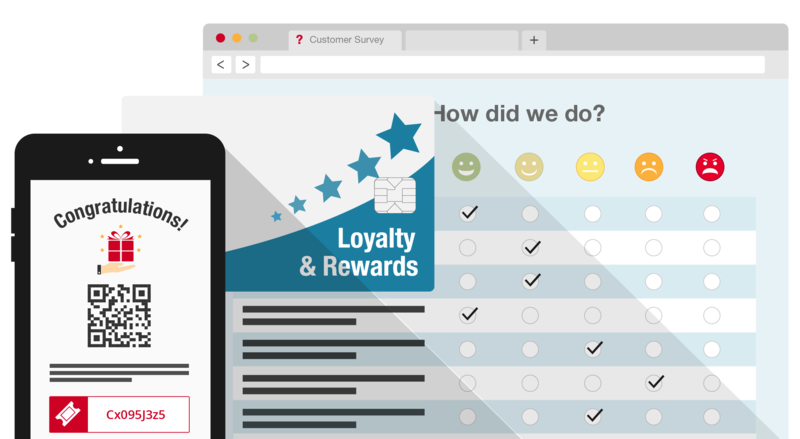 In the highly competitive retail marketplace, a well-planned, well-executed and easy-to-understand loyalty and reward program can be what differentiates you from your competition. Vincent Associates has the experience and expertise in developing and managing cost-effective reward programs. By integrating POS and CRM data we take on the labour-intensive role of collecting, compiling and maintaining your reward program to provide accurate and timely reports and reward certificates. With our broad experience and depth of expertise in the development and execution of loyalty and reward programs, we can devise a program that meets your strategic business goals and excites your customers. A solid, sensible and flexible marketing strategy is critical to any business. We encourage and incorporate the use of all methods of communication: email, social media, direct mail and your website. If you have not yet developed a website, we can help with that too. But don’t forget the human element. You and your staff personify your brand. Create and encourage a conversation with your customers. We can show you how. Good CRM programs rely on good data! No matter what kind of POS system you have, our staff of expert developers can ensure solid POS connectivity and integration. We’ll work with you and your team to develop seamless and secure data transfer processes. Contests can be a great way to build and engage your customers. We work hand-in-hand with our clients to develop, implement and manage successful contests. We are fully aware of and compliant will the rules and regulations pertaining to contests in Canada. Whether promoted on-line, through your POS or by ballot, we ensure proper execution. Want to know more about your customers? Want to know what they think of your products and services? Ask them! Then listen to what they have to say. From defining the intent and scope of your survey to question development, response capture and analytics, we have the expertise and IT infrastructure to ensure timely, secure and cost effective delivery of critical customer profile data. Our analysts are experts in interpreting survey results and our qualified consultants will make pragmatic recommendations based on those results. Good information is critical for good business decisions! Vincent Associates has long experience in producing the reports and analytics that are at the heart of a productive business. These include foundation RFM analyses and customer segmentation reports, as well as promotion response and ROI. Our team of developers can also create and implement customized reports based on your specific requirements. Census data overlay is one of the additional analytics services we offer. Knowing the demographic profile of your best customers allows you to find others like them by utilizing census data. We help you use this information to build and grow your customer base through targeted social networking and e-marketing, as well as more traditional, yet effective, postal drops and list rentals. Your data, information flow and network are the lifeblood of your business. It’s vital. It’s valuable. We understand that. Read More about Best Practices, Security & Privacy!